For the first time ever I am doing mini sessions!! Yay! I am so excited! 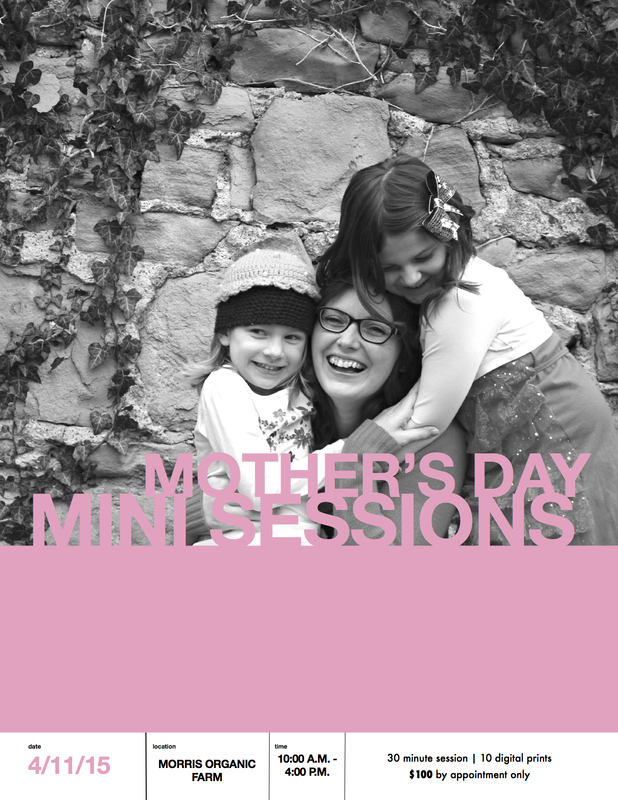 On Saturday, April 11th (rain date the 18th), from 10AM – 4PM, at Morris Organic Farm, I will be doing Mother’s Day Mini Sessions! I cannot mean this enough when I say, WHATEVER you want to do, we will make it happen! If you want to bring out your entire family, go ahead! If you want to do sibling pictures as a gift for your mom, grandma, wife, whatever, go ahead! Seriously! I am so pumped to be at this location and take your photos! Contact me to book your session or ask any questions! I hope to see you!